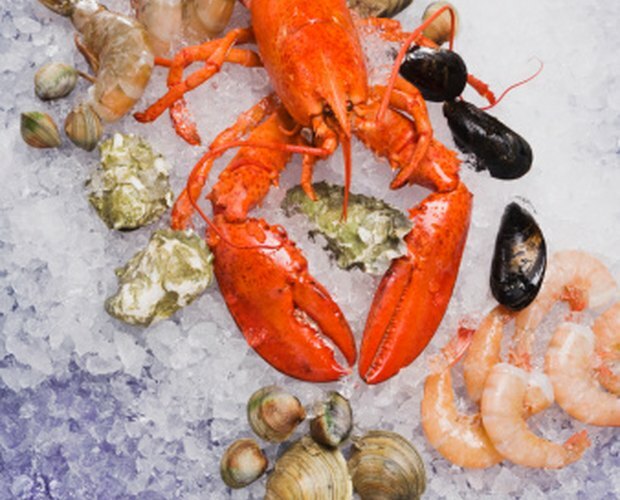 It is often cheaper to purchase frozen lobster instead of live lobster. Frozen lobsters are also more convenient because you don't have to worry about cooking them right away. 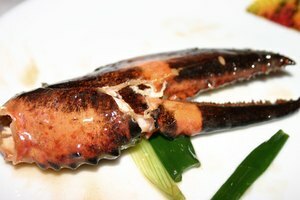 If you cook a lobster while frozen, the meat will often be mushy or overdone. To ensure you get the best taste, properly prepare your frozen lobster before cooking. The entire process takes hours, but there is actually very little to do. Place the frozen lobster in the refrigerator overnight, or for 8 to 10 hours prior to cooking, to allow it to thaw. Fill a pot with enough water to cover the lobster. 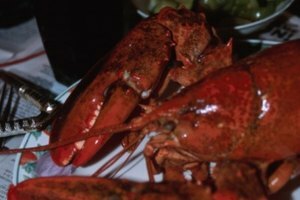 A stock pot is normally required to boil an entire lobster. Add 1 tbsp. of salt to the water. Turn the stove on high and bring the water to a boil. 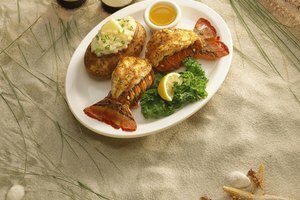 Insert a wooden skewer lengthwise into the lobster tail to prevent it from curling when cooking. 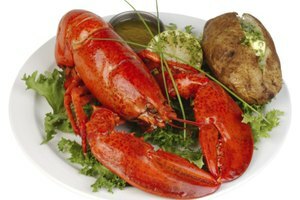 Drop the thawed lobster into the water and boil for 1 minute per ounce of total weight. Remove the lobster from the boiling water with a pair of tongs. Drain the lobster and place it on its back to cool slightly. 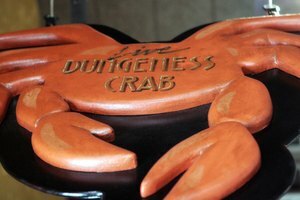 Turn the lobster back on its stomach and cut the hard back shell down the middle to expose the flesh. Season the lobster meat with melted butter and lemon juice.